LILLEHAMMER, NOR – The Vancouver 2010 Olympic Winter Games and its legacy at the Whistler Sliding Centre has notched its first ever medal at the Youth Olympic Winter Games, thanks to a determined Whistler native who grew up minutes from the world-renowned track. Reid Watts slid to Canada’s first medal at the 2016 Youth Olympic Games by winning the bronze in men’s singles luge racing on Sunday in Lillehammer, Norway. “This is absolutely awesome. I’m super excited about this,” said Watts. “I really felt that if I had two really good runs, I could be on that podium. I put down two consistent runs, and I did it. Watts sat in fifth spot after his opening bomb down the flowing 12-corner track that played host to the 1994 Olympic Winter Games. The scrappy Watts clawed his way onto the podium after also dropping the second fastest final run time at 47.908 to clock a combined time of 1:35.994. “I came to this track last year for Junior World Championships and I really struggled. It is more of a gliding track and not very technical so it was one of the more challenging tracks for me on the circuit,” said the 17-year-old high-achieving Grade 11 student who rocked the second-fastest start times in both heats. Latvia’s Kristers Aparjods captured the men’s singles luge crown with a time of 1:35.309. Germany’s Paul-Lukas Heider won the silver medal with a time of 1:35.955. Watts credits the historic performance to Luge Canada and his hometown track – Whistler Sliding Centre – that introduced him to the sport. Showing tremendous potential having racked up seven medals on the Junior World Cup circuit over the last two years, Luge Canada created an opportunity for Watts after the Christmas break to join the World Cup team for three races – a strategic move to fully prepare the promising teen, and nation, for a shot at the Youth Olympic Games luge podium. Equally valuable was the venue that introduced Watts and a growing pool of legacy babies on Canada’s west coast to the sliding sports. 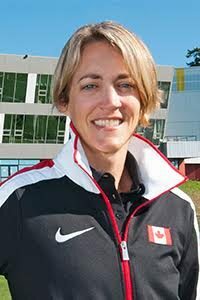 “The Whistler Sliding Centre needs a lot of credit for my success,” said Watts. “That facility has been unreal. It is such a great track. It is always in race ready conditions which has helped me immensely to perform at the highest level during my training. This helps make the transition easier for me when I come to race on other tracks. Once happy to wear the national uniform at elite competition, Canada’s luge program has been on a steady progression to the top of the international luge standings thanks to the hosting of the 2010 Olympic Winter Games at home. Now boasting a talented group of athletes winning medals in all race disciplines at all levels, Luge Canada is a medal contender each week and determined to win its first Olympic medal. The Canadian senior squad finished a heartbreaking, yet historic Olympics, with three fourths and fifth-place finish at the 2014 Games in Sochi, Russia. Destined to be the next generation of Canada’s great Olympians in the sport, Watts is one of a handful of young lugers in British Columbia who have been following the track blazed for them, and are charging through the luge ranks. “Reid’s result today is the first Olympic-related medal for our sport which is nothing short of amazing. This medal exemplifies the benefits of hosting an Olympic Games at home. Vancouver 2010 has transcended our program, and along with our partners, a new high-performance culture has been established luge in Whistler and across Canada. With our seniors leading the way, our next generation of Canadian luge athletes now believe they too can win. This performance is an inspiration to all athletes on the West Coast, and is a shared reward for our entire communities of partners and volunteers,” added Corey. The Canadian Luge Association is a not-for-profit organization responsible for governing the sport of luge across the country. With the financial backing of from the Government of Canada, Canadian Olympic Committee and Own the Podium, the Canadian Luge Association safely recruits and develops the nation’s current and future high-performance luge athletes with the goal of regularly climbing onto the international podium. For more information on the Canadian Luge Association, please visit us at www.luge.ca on the Internet.